In the 1950s, the American fascination with the automobile blossomed into a new breed of driving machine. Despite having spent much of the previous two decades being merely a means of transportation, the unprecedented economic boom of the postwar era allowed cars to be seen as more than just a way to get from point A to point B. They could be a status symbol, a lifestyle accessory -- something to be owned and driven with pride. Suddenly, cars could be cool. And it was in this spirit that he muscle car was born. The mid 1950s were the dawn of the muscle car era. Lead by Chevrolet, American car companies began testing the performance limits of their models and to slowly turn an eye toward a design that valued power over reliability. The 1955 Chevy V-8 (named for the engine that would come to define the muscle car) and the ’56 Chevy Corvette became the class of early muscle cars, and you could argue they were the first American ones. Ford quickly came onto the scene with the Thunderbird, and Chrysler followed shortly with the Chrysler C-300, and the muscle car race was on! 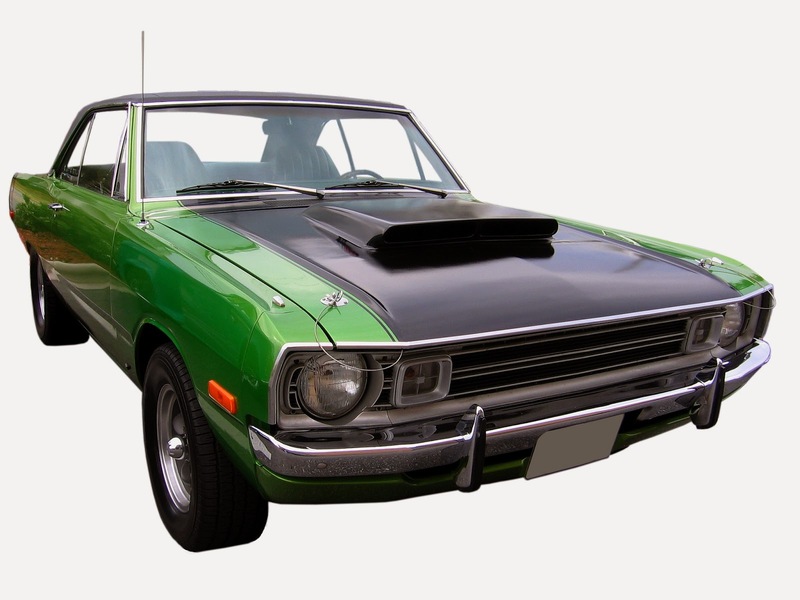 By the 1960s, the muscle car phenomenon had truly become part of American culture. Sleek and stylish as well as extremely powerful, the muscle car began to dominate the popular imaginations of the Baby Boom generation. American rock groups (unlike their British Invasion counterparts) flooded the radio airwaves with songs about little deuce coupes, G.T.O.s, and Hot Rod Lincolns. The Beach Boys and Jan & Dean made careers writing songs about drag racing. In 1964, Pontiac introduced the G.T.O., featuring a 6.4 liter engine, and in 1965 Ford came out with what is perhaps the ultimate muscle car -- the Mustang. Greater attention was also paid to the tires on these cars with American Racing Wheels becoming the go-to sale item for any serious driver. Unfortunately for the muscle car, the longevity of an automobile built purely for power and speed could never come as a guaranteed. By the time the craze had peaked in the early 1970s, the safety conscious consumer protection lobby had begun to seriously question whether the cars should even be on the road. Though not written specifically with the muscle car in mind, Ralph Nader’s 1965 book Unsafe at Any Speed called out the car makers in Detroit (with special criticism leveled at the Chevy Corvair) for their prioritizing performance over safety. The Arab Oil Embargo of 1973 dealt an almost fatal blow to the muscle car craze and production began to decline. Still, the cars remained an indelible part of American pop-culture and remain valuable collectors' items to this day.